You know how good Mexican restaurant chips taste? And how you just can’t get the same taste from a bag you buy off the shelves? Well, I’m not saying that Food Should Taste Good’s Cantina tortilla chips are as good as the real deal, but they’re about as close as you can come—and healthier than most bags you can buy. With a short ingredient list (just three things listed) and none of the stuff you don’t want (gluten, MSG, trans fat, cholesterol, etc. ), you can enjoy nine big, hearty chips (they’re thick, which I love!) for about 140 calories. While they’re good on their own, they’re especially good with salsa—avocado salsa to be precise. And because we love ya’ll so much, we’re sharing the Avocado Salsa recipe we got from Food Should Taste Good. It’s deeelicious. The following recipe makes five cups of the yummy stuff, which will serve about 10 to 15 people. So invite some friends over, fire up the grill and enjoy your summer snacking! 1. Cook the corn on a hot grill for 10 to 15 minutes, turning two to three times. Remove and let cool. 2. 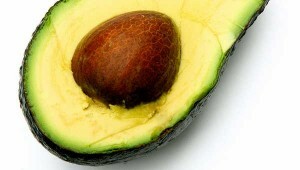 While corn is grilling, combine avocados, garlic, tomatoes, jalapenos, onion, bell peppers and cilantro in a large bowl. Once the corn is cool, cut kernels off and add to the bowl. Add lime juice, olive oil, vinegar, cumin, salt and pepper; toss to combine. 3. 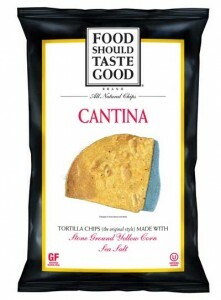 Serve chilled with Food Should Taste Good Cantina chips. HHmm, I think this salsa recipe is so good plus the Cantina chips? These will surely be a great snack. My friends would love this. Thanks for sharing.